The play you are going to read about is based on actual events. I bet you can’t wait to know about them, so I asked director Miles Barnum what can be expected. He replied, “It is a very intriguing script and a joy to work on.” Let us explore this comment in a peculiar manner. First, A bit of geography and history. Many people from around here probably do not realize that the Upper Midwest region, spanning from the Dakotas all the way to Wisconsin, is Sioux country. We will primarily be focused on a Lakota Sioux legend that is approximately 2,000 years old. I’m certainly not an oralist or expert on Native American lore, but I will attempt summation from various telling research. Please forgive me for the lack of aggrandizement. It goes something like this: two warriors were out hunting buffalo. They were approached by a small white calf. As it came closer, it turned into a beautiful native woman. This was the sacred White Buffalo Calf Woman, who would go on to introduce the tribes to Seven Sacred Ceremonies and revive their connection with creation. Spirituality and religion have been a strong force, for both native and non-native alike, who believe in the higher powers. Regardless of your beliefs, it is indeed an interesting subject worth looking into, given that there is definitely much more background involved. When it comes to Native American religion and spirituality, bison are a symbol of the sacredness that is life; also of abundance and manifestation. One reason is that natives used every part of the buffalo, without wasting anything. It is considered quite disrespectful to waste any part of the buffalo or to kill it for sport; the latter being mostly what brought them to the brink of extinction. 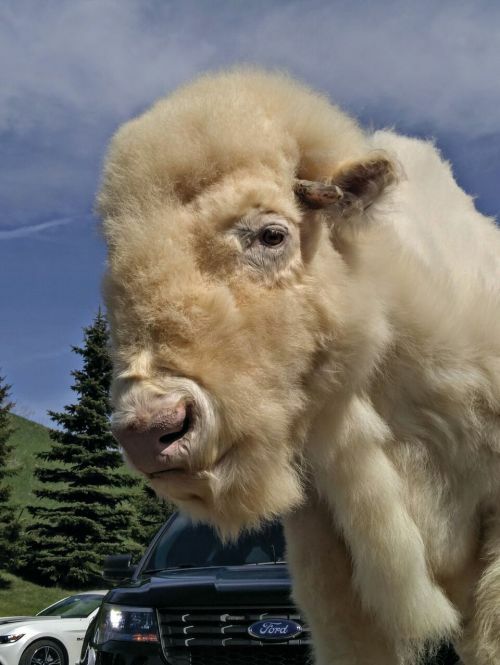 White bison, specifically, are rare and acknowledged as very sacred and prophetic. The birth of one signals the return of White Buffalo Calf Woman, as prophesied; but more importantly would bring a time of peace, harmony, prosperity, and equity. This is an essential element to consider. So I would like to introduce you to the play "White Buffalo," by Don Zolidis. On a small farm in southern Wisconsin, a miraculous birth takes place. Farm owner Carol Gelling thinks the white buffalo is just a coincidence. Soon enough she learns there is more to this birth than mere coincidence. People overwhelmingly begin pilgrimages to her farm for religious reasons. In this, she learns of culture and faith outside her own. Along comes a businessman who offers a great deal of money for the albino calf. Carol is faced with a dilemma, making a decision that could change her family’s life. So what can be expected of this play? A carefully produced piece of theatre directed by Miles Barnum. A play that was written with ingenuity and is able to appeal to the emotions. Actors capable of embracing their roles. West Fargo High School Theatre is proud to present an intricate family drama in two acts. This compelling tale follows the Gelling family through the trials and tribulations of love, loss, and the true meaning of family.